How two mechanical engineers did magic with spark plugs. Nobody told Joe and Rajiv it was impossible. So they went ahead and did it. 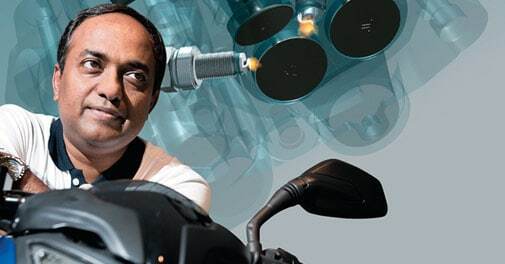 That would be the tweet to tell the story of how Bajaj Auto became the world's first company to make two-wheeler engines with two spark plugs in the combustion chamber. At 75 characters, it is about half the longest tweet. And yet, that is all there is to the story. "DTS-i (digital twin spark ignition) is just the hump of the camel; the real thing is the rest of the camel. It is not about just one innovation," says Vikas Sehgal, Managing Director and Global Head of automotive for financial advisory firm Rothschild. The camel was conceived in the 1990s, by two mechanical engineers who did not believe in what at the time was the shiny new vista called MBA. One of them, Abraham Joseph - Joe to all - was largely self-taught. The other, Rajiv Bajaj, was the son of the CEO who charted out a path for Bajaj Auto that the CEO may not have chosen. 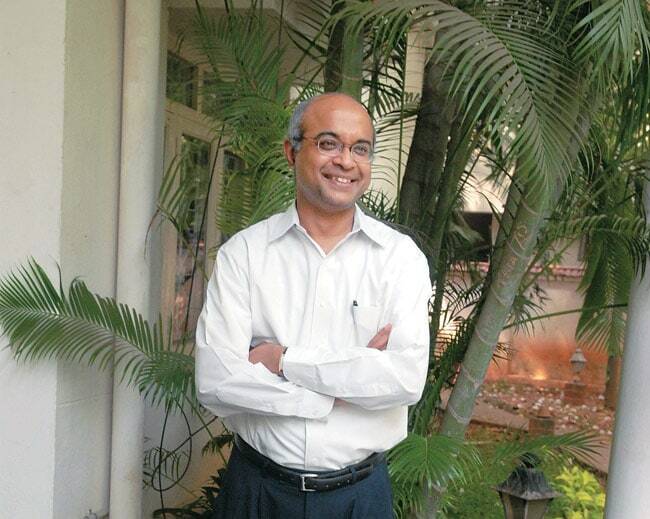 Joe joined the company in 1989, recruited on campus at the National Institute of Technology, Bhopal. He was eager to put his training to use. So an MBA was not really his thing. Instead, he read and read: books, research papers, case studies - anything relevant to manufacturing, engines, platforms, vehicles, and factories. He ran into a kindred spirit in Rajiv, the first engineer in the promoter family who broke the tradition of all scions going abroad for an MBA. In the early 1990s, Rajiv had started to grow roots in the company and give it a direction (motorcycles) and attitude (self reliance in technology) very different from what they had been for decades (scooters; technology does not matter in India). Together, Joe and Rajiv created a research and development wing in 1995. That was the time when Indian two-wheeler makers were still basking in the first flush of foreign love. Large, multinational companies with deep pockets would share equity and profits with their Indian partners merely in exchange for knowledge of the local terrain: market and customer, and government and regulations. In cases, the Indian partner also provided money, but that was not its raison d'Ãªtre. Bajaj, at this time, was an also-ran in the motorcycle market, with no identity. Hero Honda, with its 100cc, four-stroke, fuel-efficient motorcycles was the runaway leader. Yamaha's motorcycles, made with Escorts, were known for their performance. Bajaj tried to do both and failed at both. It had a tie-up with Japan's Kawasaki, but only technical. The two were more like helpful acquaintances. The Japanese company mostly provided technical drawings, which Bajaj had to put to use at its factories through its own processes. In contrast, Honda was very much in bed with Hero as well as Kinetic, Suzuki with TVS, Piaggio with LML, and Yamaha with Escorts. "Let's do the opposite of what Hero does," Rajiv told Joe. That was reckless. They were investing in an engine platform when they could have simply benefited from Kawasaki's. And to what avail? They built the Pulsar, which those who were supposed to know better found too big, with an overgrown fuel tank. But when you say reckless to ambitious men in their twenties who ride motorbikes (M900 Ducati for Rajiv, Yamaha RX100 for Abraham), they laugh it off. Rajiv, now 48, and Joe, a year younger, are still laughing. And those who doubted them back then turn their faces away just, like the Pulsar's headlight turned to passing girls in its television commercial, as a gravelly voice said: "Definitely male." Bajaj's EBITDA - short for earnings before interest, tax, depreciation, and amortisation - is a much-talked-about figure, as it is nearly double the industry average. That is all thanks to its success in creating the performance segment - where it refuses to get into a price war and enjoys high margins - and in becoming India's largest exporter of motorcycles by a long yard. "Success takes time. Bajaj had the vision and audacity to invest in things that were ahead of their time, staying ahead of the market in R&D as well as exports. What's more, Bajaj did it on its own. That it succeeded shows in its market positioning and high profitability," says Sehgal of Rothschild. Pulsar proved the sceptics wrong from the start. But, as if to rub it in further, Joe and Rajiv remade it in 2003, just two years after launch. As Rajiv once explained, the Pulsar, though successful, still needed a bit of magic in it. The rabbit out of the hat was an extra spark plug. Simple, you say? Two-wheeler companies would shake their heads at that in exasperation. If they are particularly incensed, they might make you light a match in a room full of highly-combustible gas. That is what the combustion chamber of an engine is: packed with air-fuel mixture. The spark plug does the job of a match. But one spark plug (one matchstick) takes time to burn the entire mixture. And the slower the mixture burns, the less work it does in moving the piston. There is more loss of heat to the walls of the chamber. The trick, therefore, is to burn it quickly to create more pressure to push down the piston. That can be done by lighting another match on the other side. But there is a reason why no one did it before Bajaj. Not in two-wheelers anyway. "In the 1980s, when I was a young engineer, Alfa Romeo had an engine that featured and was branded Twinspark. The concept itself is not unique; it is not a discovery. But we must give credit to Bajaj for taking it forward and putting it in a two-wheeler. There would be a lot of optimisation work needed to get it to work correctly in a small engine. It is not a trivial thing like making a hole and putting a spark plug in it," says V. Sumantran, who has a doctorate in aerospace engineering and has served as Executive Director of Tata Motors and Vice-Chairman of Ashok Leyland. But the Romeo had a 2,000cc engine, and its sole intent was to generate more power. Bajaj's hunt was different. The Pulsar's engine is 150cc and it needs more power as well as better fuel economy. Joe describes the motorcycle's combustion chamber as an ulta katori (inverted bowl). In DTS-i, one plug is embedded on one side, another on the other. And there must be space for the piston to move freely, with the least friction. So the second plug needs to come through the chain cavity. The first plug gives the master spark. The second, the slave spark, follows it after a delay. There is a coil to control each spark plug, the two must not burn simultaneously. If the second charge is too quick, there may be a detonation. In fact, for better power and fuel efficiency, they must burn variably in relation to each other depending on the temperature outside, the speed of the vehicle, and the load on it. And at no point should the engine overdo anything. There ought to be balance among the various things going on. This balance was achieved through a new algorithm Bajaj developed, using its own software. "When you talk about pushing limits, you can at times do it," says Joe. Giving him a helping hand is his R&D team of 1,200 engineers, who are very good at calculations and analysis. They study fatigue resistance of components and their performance ability and predict the output of an engine using codes. All the data is stored in a bank for current and future use. "It is an iterative process, built over 20 years," says Joe. Time well spent. DTS-i gives 18 per cent more fuel economy and 12 per cent more power. At a time when all the other motorcycles were 100cc and 7.5 BHP, even the pre-DTS-i Pulsar was 150cc, 12 BHP. Now it gives 15 BHP. Bajaj's 100cc model, Discover, beats out 10.2 horses. The Pulsar 200 NS, a 200cc model, yields 23.5 BHP and 53 to 54 km to a litre. Other companies have 250 cc models that give no more than 25 BHP and 45 km to a litre. Just as the proof the pudding is in the eating, the proof of an innovation is in imitation, patents be damned. The DTS-i has been embraced not only by domestic manufacturers like TVS, for which Bajaj took it to court, and Enfield, but also manufacturers abroad. "Every mother thinks of her son as charming. What matters is whether the girl next door shares her view. In Bajaj's case, she does. The biggest sign of DTS-i's success is that it is being adopted rampantly by two-wheeler makers in Hong Kong, China, and Taiwan. For the first time, a truly Indian technology is making waves abroad. And that is because it enables high performance at low cost, just what most two-wheeler markets need," says Sehgal, who specialised in automotive product platforms as part of his mechanical engineering at the Massachusetts Institute of Technology. Bajaj, for its part, has put two spark plugs in all its engines. All its vehicles, including the CNG- and LPG-driven three-wheelers, have two spark plugs. All except the new-generation Pulsar. That has three spark plugs. But that's another story.